We provide high performance and reliable iPhone apps at reasonable cost. We offer quality website design & development services to our diversified clients. scripting and what not. Softgrid provides you with the entire spectrum of solutions that you need for your business. Get the latest Web frameworks that are based on Python like Django and Flask for your website and application development. With the powerful functionalities that Python offers, developing websites, applications, GUI etc. is just a matter of few steps. What you get is a fully functional product that can readily execute the commands and generate desirable output. As Python is the base language which is used for creating the different modules and interface of the product, scalability and up gradation is easy. All you need is an expert who has in-depth knowledge of the basic framework on which the product has me created. Python is used as a support language for software developers, for build control and management, testing, and in many other ways. Python is also used to build ERP and e-commerce system. With numerous options to choose from such as the framework, the GUI toolkit and the testing methodology, Python provides the capabilities that no other platform can give. Python offers multiple paradigms like object-orientation, and structural and functional programming for software development. It works on cross-platform operating systems and can be used across to develop a wide range of applications. Python provides higher speeds and productivity as it is supported by various modules, libraries and platforms that increase the performance of the product. Python has advantage of being open source. It is quick and easy to learn. It provides agility, extensibility and scalability that allow faster development from initial prototype. 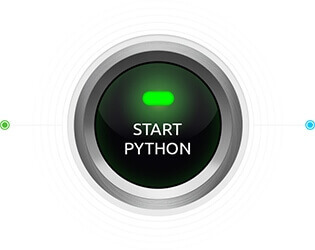 We offer you with the various development services that use Python as its underlying platform. We are experts in custom development, prototyping, up gradation and legacy rescue. Python has simple syntax, modular architecture, rich text processing tools and the ability to work on multiple operating systems makes it a desirable choice for developing desktop-based applications. The applications are cross platform and feature rich. As we know Python is an open source language, it is the preferred choice for prototype development. It provides capabilities like agility, extensibility and scalability and ease of refactoring code associated with Python allow faster development from initial prototype. Python is an integral part of Linux distributions. Its design and module architecture has influenced development of numerous languages. It works on cross-platform operating systems and can be used across to develop a wide range of applications including those intended for image processing, text processing, web, and enterprise level using scientific, numeric and data from network. Legacy code may be defined as any code that does not have unit tests. Some features that Python include are special libraries, extensibility, scalability and easily readable syntax make Python a suitable coding language for customizing larger applications. If you are convinced enough, contact us for your python development services.